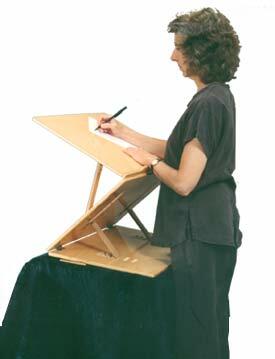 Easily adjusts from 3" to 18" high for sitting, standing or higher-seated work. 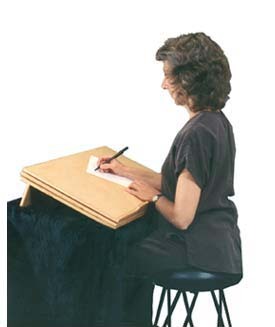 Twelve adjustment angles promote better posture and enhance comfort when reading and writing. 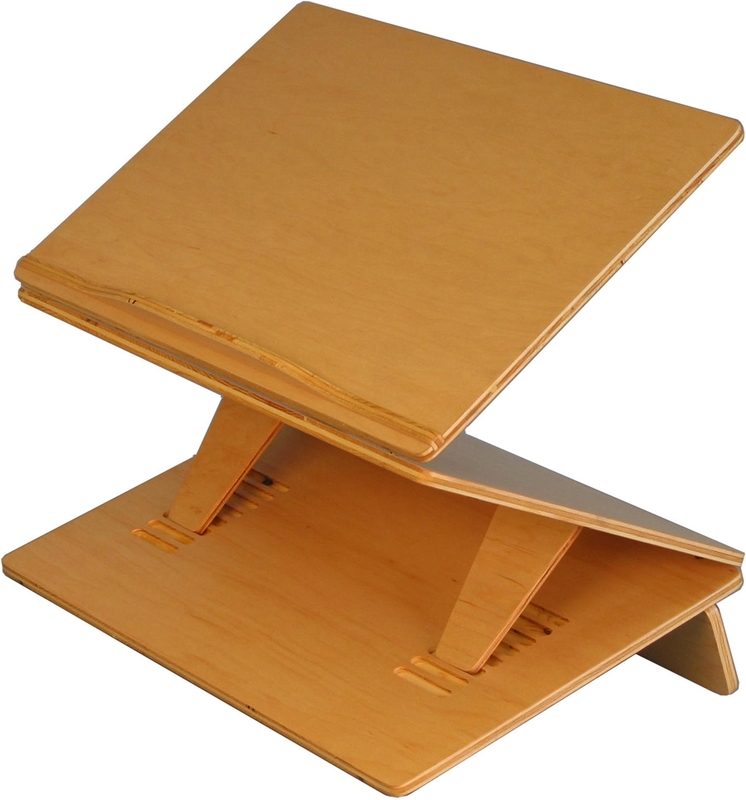 Sets up in seconds almost anywhere and folds up flat for storage. Thick, centered bottom ledge holds heavy books and binders. 16" x 24". 14 lbs.